Great article. Thank you. Just lost a good deal of respect for Ms. Maddow. According to Behzad Yaghmaian's book "Social Change in Iran", Rouhani said about student demonstrators in 1999, "And at dusk yesterday we received a decisive revolutionary order to crush mercilessly and monumentally any move of these opportunist elements wherever it may occur". And that is the IRI's version of a "moderate", according to elements of the gullible Western media! Great article Nima. I heard the FAIR report by Peter Hart on Counterspin this weekend. 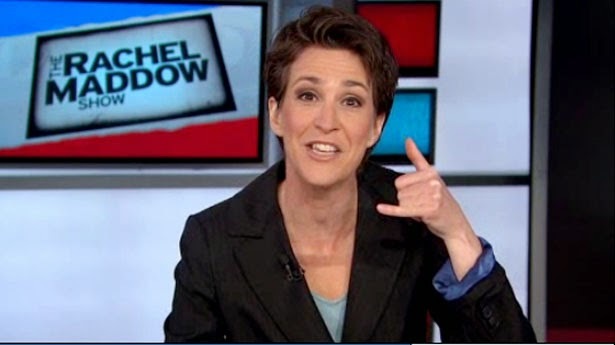 The scary thing is that most of my Texas progressive friends (I know seems like an oxymoron, but there are a few) treat Maddow like some kind of progressive saint. Give me Amy Goodman any day! Maddow is an entertainer whose material is the news. Her schtick is sarcastic delivery done at 90 miles an hour with a heavy dose of "I am soooo clever". The best bet for anyone interested in the facts is to read the news on the Internet with sober analysis like yours provided and skip the talking heads, one and all. Look at how many wars Iran has started in the last 500 years, or so, like zero. Look at us. Look at all our US bases in the Middle East, on both sides of Iran. Look at all our fleets in the Gulf and the area. Look at our history of killing for oil. Add it all up. Shame. Just a stink of shame. The old lady is on the political payroll. Our tax money at work. So many layers of shame!